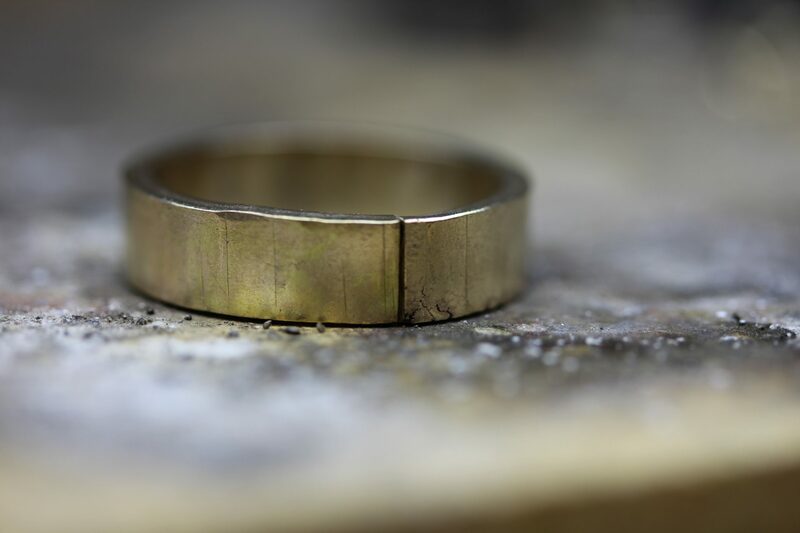 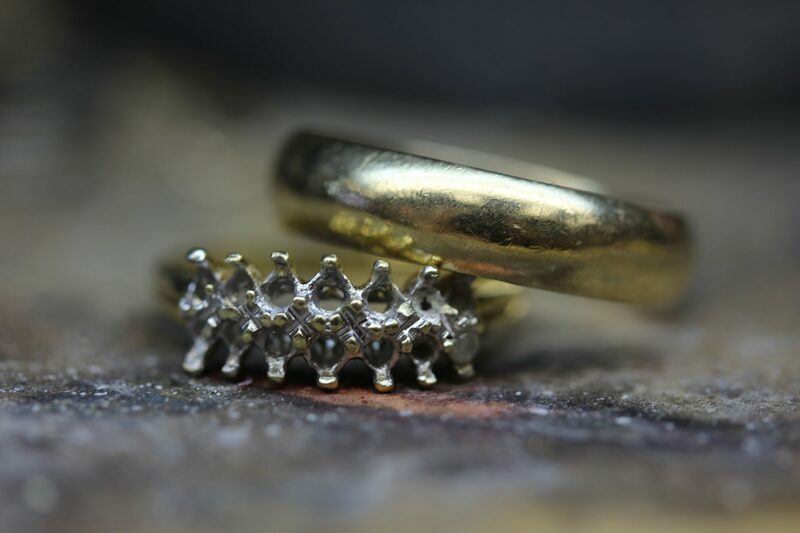 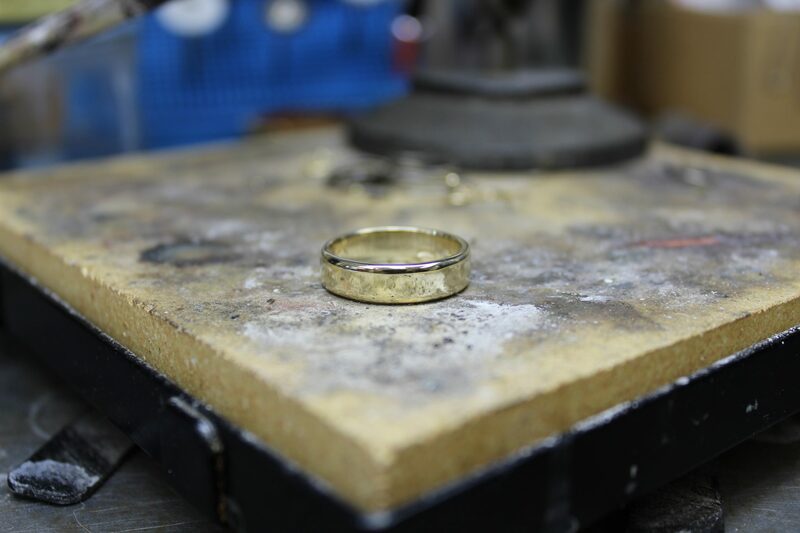 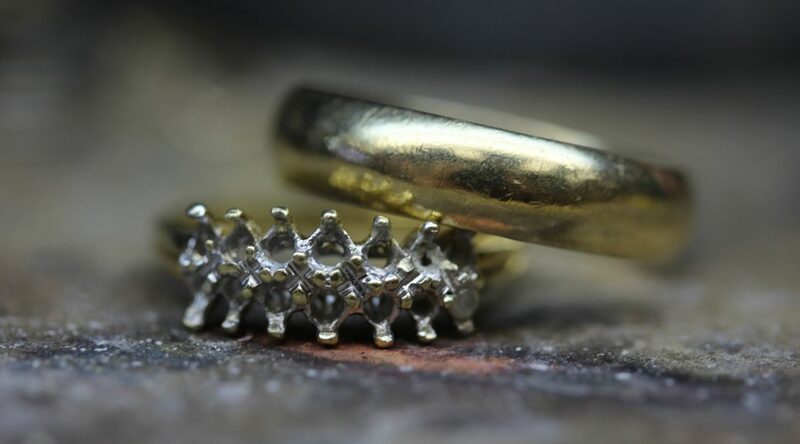 A customer wished to fashion a memorial piece for his late wife using his gold wedding band and gold from his late wife’s anniversary ring. 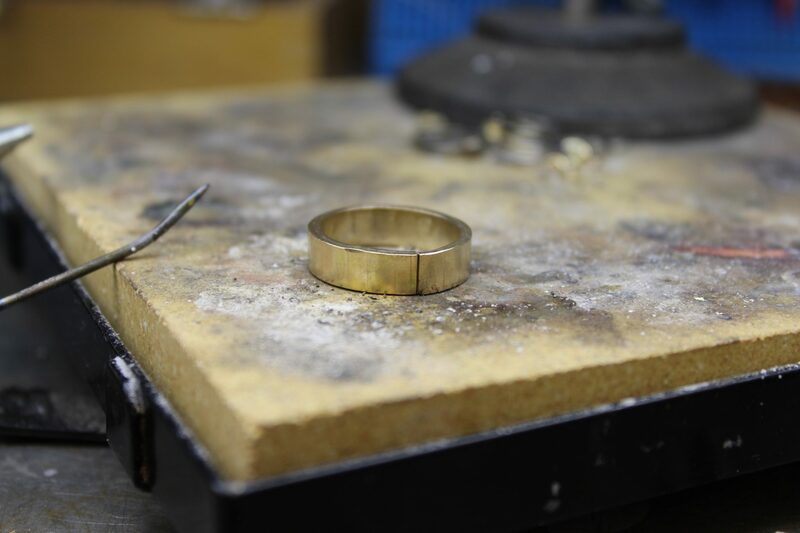 Using these pieces we melted the gold into an ingot and rolled the metal into wide stock. 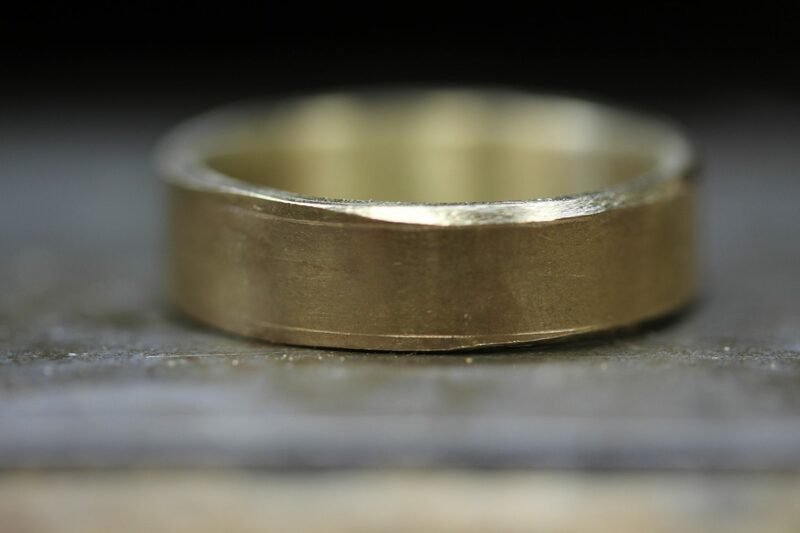 The gold stock was then fashioned into a band with a hand beveled edge. 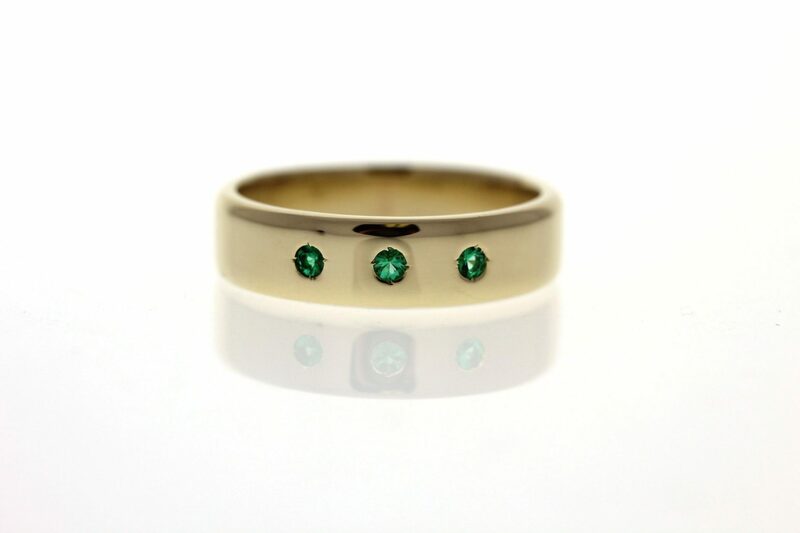 Lastly we set three emeralds representative of our customer’s late wife’s birthstone.